Wondering what ‘Shabby chic’ even mean? 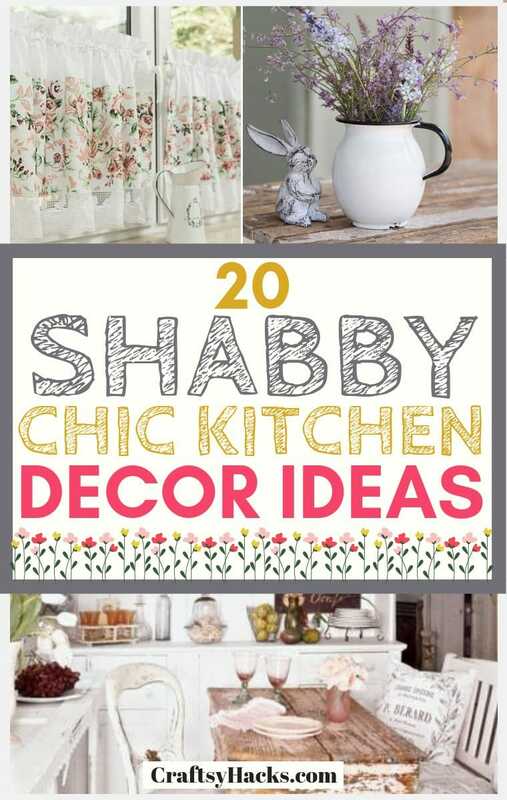 Shabby chic represents a mixture of vintage and modern, rustic and millennial to achieve style, elegance, and aesthetics. Imagine applying this to your kitchen and see what you’ll get. Well, here are 20 beautiful kitchen décor ideas that will give your imagination a little bit of food. The kitchen walls are always there. In fact, they’re so important they can give your kitchen a totally different look. To achieve a shabby chic look, try floral wallpapers. These totally do exist. 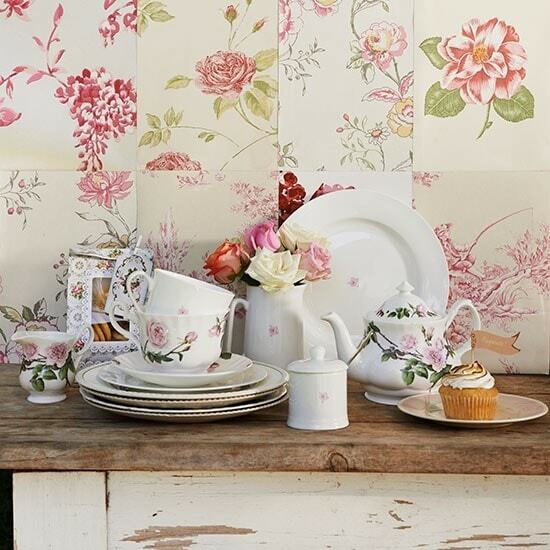 Here is lovely floral vintage wallpaper that would look great in the kitchen. 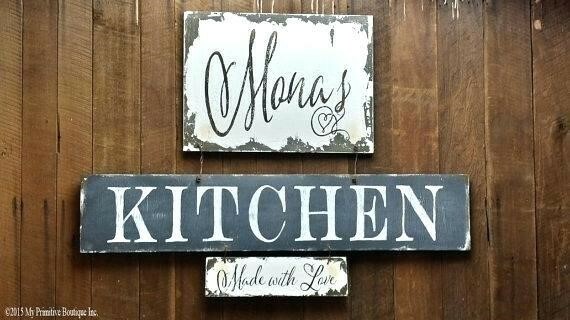 A vintage sign can help spice up your kitchen and gives it a rustic feel. A super simple quote or something more sophisticated will always do the trick. A sign or board is always a welcomed addition to a kitchen. Here are some of the beautiful vintage wooden signs that you should definitely check out. A vintage wall clock or a table clock isn’t hard to find. Get one of those and hang on your kitchen wall or place on your cabinets. 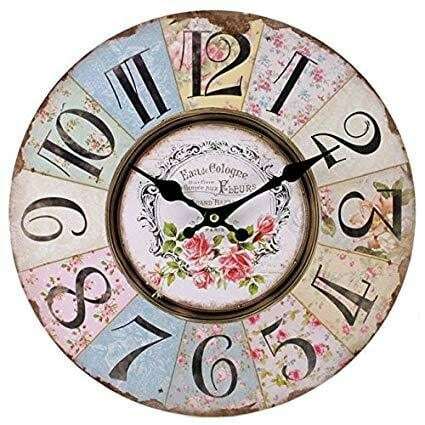 Here are a few vintage clocks that will beautifully suit your shabby chic décor. Vintage, in this case, does not necessarily mean old. While an old clock will do the trick, you can as well just keep an eye out in stores for a clock that feels rustic to you. 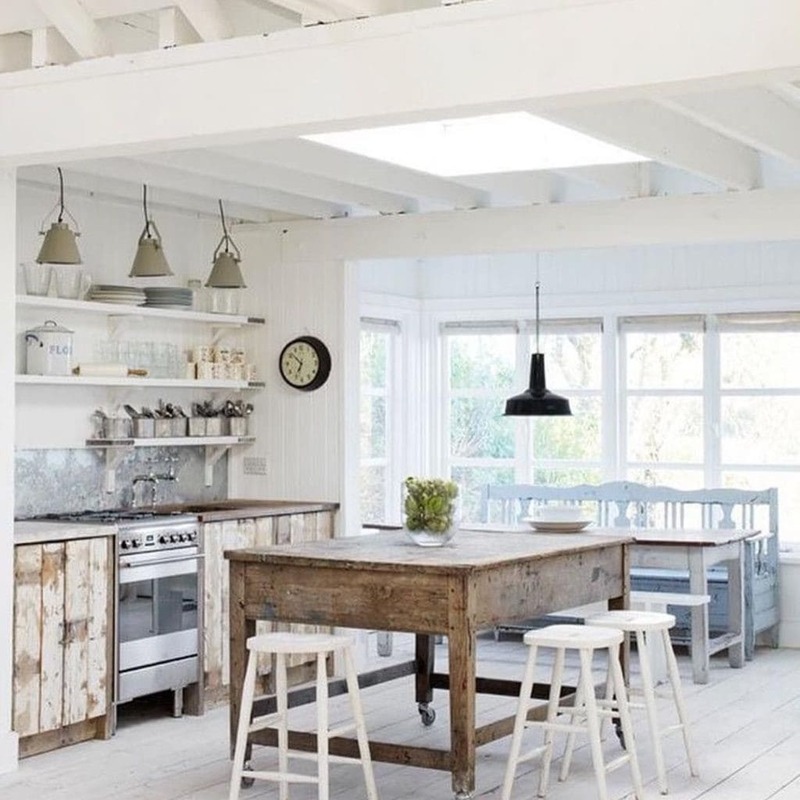 You can also whitewash your kitchen furniture to achieve the rustic feel. To achieve the look, you’ll need to get a chemical stripper or sandpaper. These will help you to get rid of the sealant on the furniture. Then, wash the furniture with vinegar and water, let it try. Afterward, use sandpaper once again to get rid of all the unevenness. Then, wipe with a cloth and get the paint. You’ll need whitewash pickling stain which you can get here or you can make one yourself. When applying the paint, make sure you’re doing it in long strokes, don’t rush and apply it against the grain. Check the full tutorial on how to whitewash your own furniture here. You can whitewash your kitchen cabinets as well. Especially if you start whitewashing other furniture. 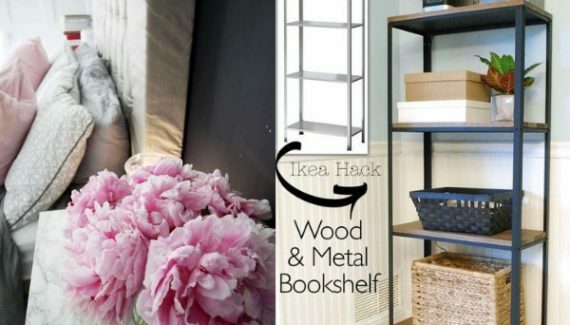 However, you might as well buy furniture that already has the shabby look. These cabinets are beautiful examples of such design. 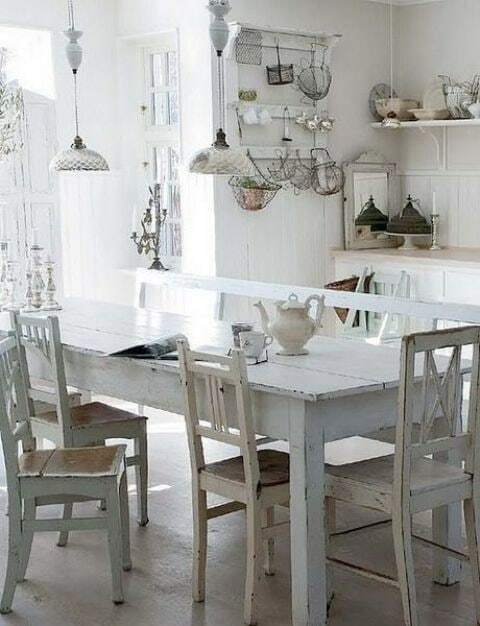 To give your kitchen a rustic farmhouse, yet stylish feel, you can leave your dining table top unpainted. Make sure you neutrally polish it with the grain of the wood showing. The rest of the table can be painted or whitewashed. 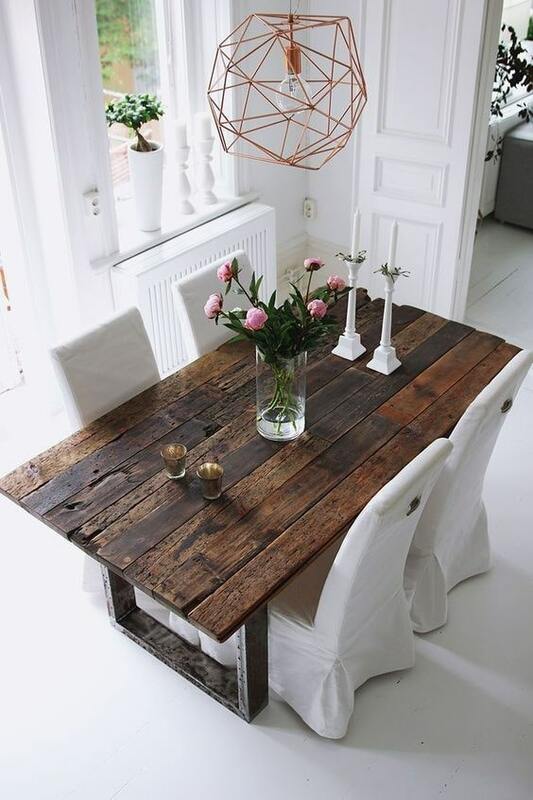 Here is a perfect example of such a farmhouse table, in case you are more interested in getting brand new furniture. 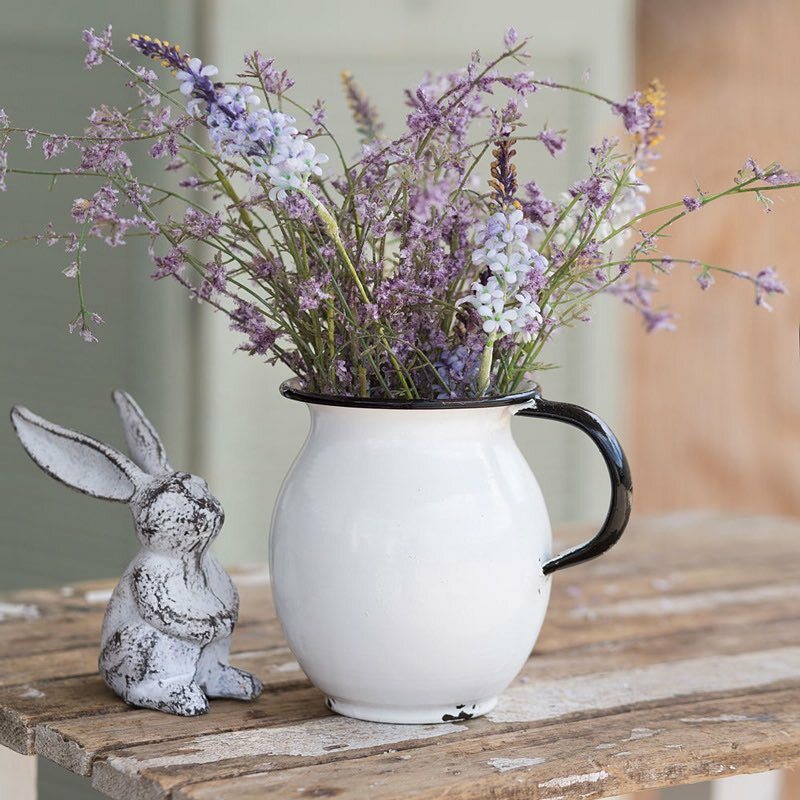 Your cups, mugs, porcelain in warm, subtle pastel shades are perfect for a rustic kitchen look. Colors like white, teal, green, sky blue and light pink can be considered. These colors are inviting, warm and definitely carry a rather vintage feel. While you can decide to use plain pastel porcelains, cups, and mugs. 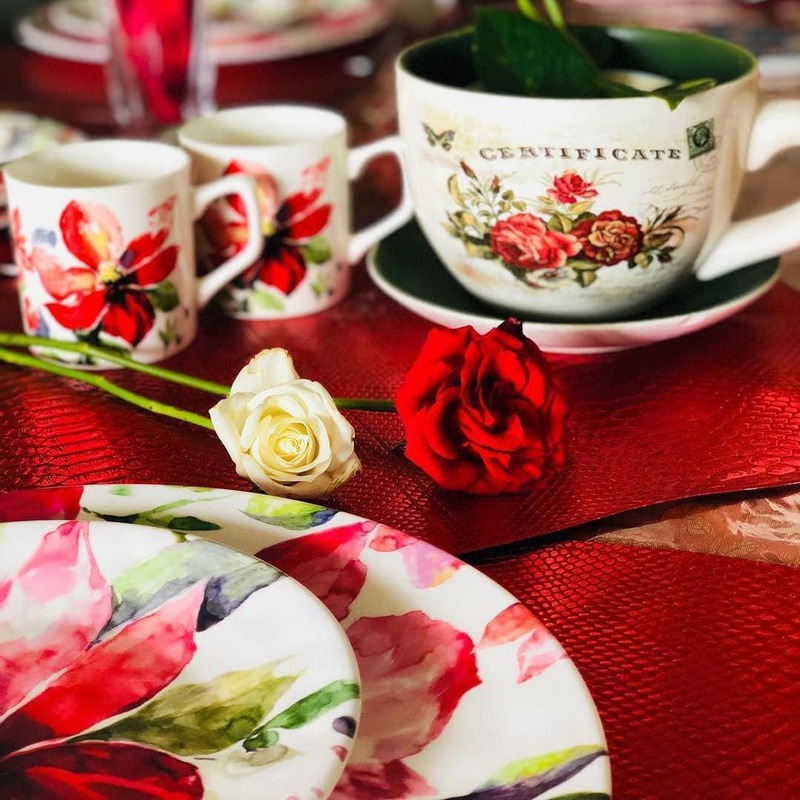 It adds a bit more of aesthetics when this tableware has subtle floral patterns. 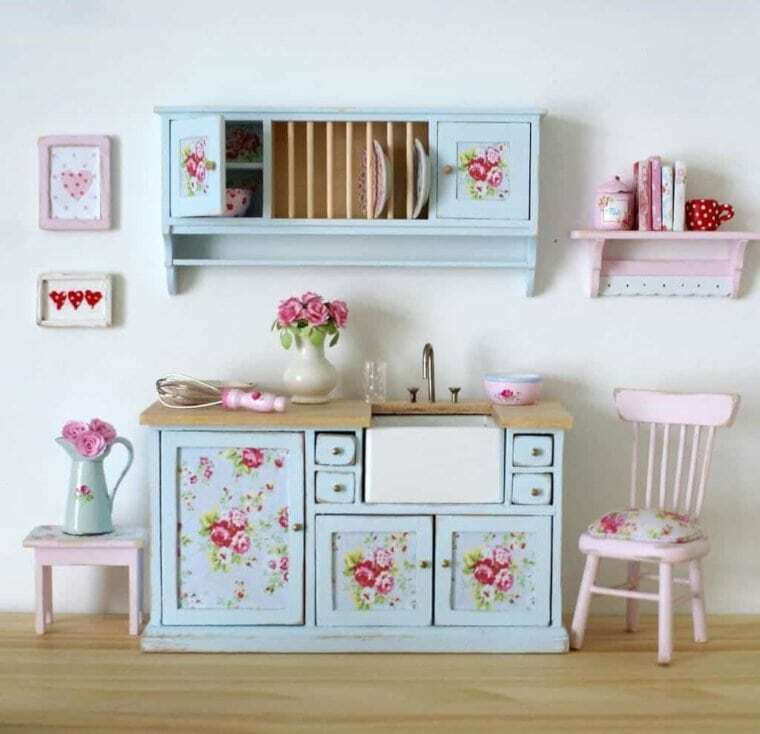 It does help your kitchen with the stylish, shabby chic effect. There is a limitless choice for these out there. 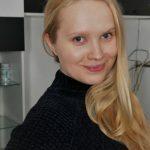 So, feel free to check all of them here. 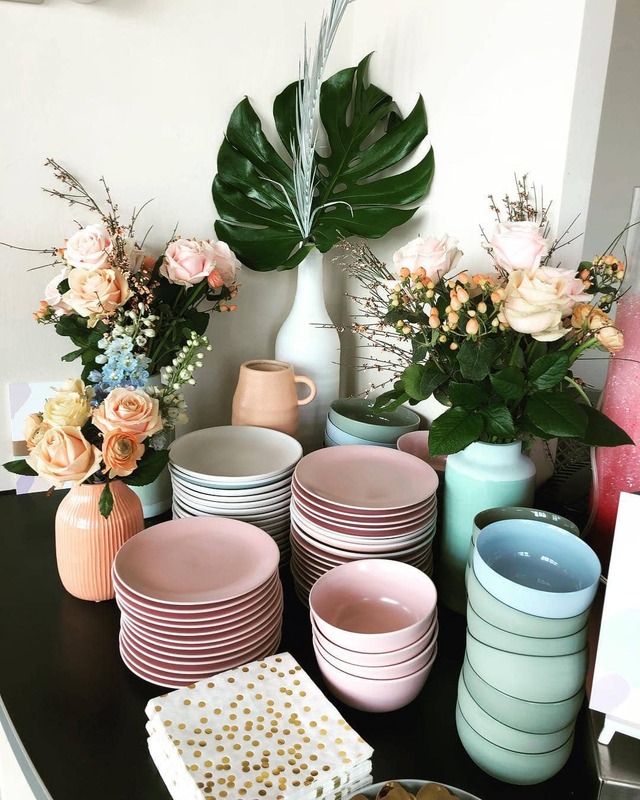 If you have all this beautiful tableware but don’t display it properly, then what’s the point? The next time you get your new plates and cups, put them on the shelf. A little arrangement here and there and your kitchen will have a totally different feel. Give it a try and have fun with it. A bouquet of flowers in a metallic vase for your cabinet or dining table. Also, a rustic metal chair or weighing scale serves a spicy aesthetic effect in your kitchen. It will give you a feel you won’t regret. Here are multiple gorgeous shabby chic vases. Feel free to get some artificial flowers to finish the look here. Simple and absolutely gorgeous. 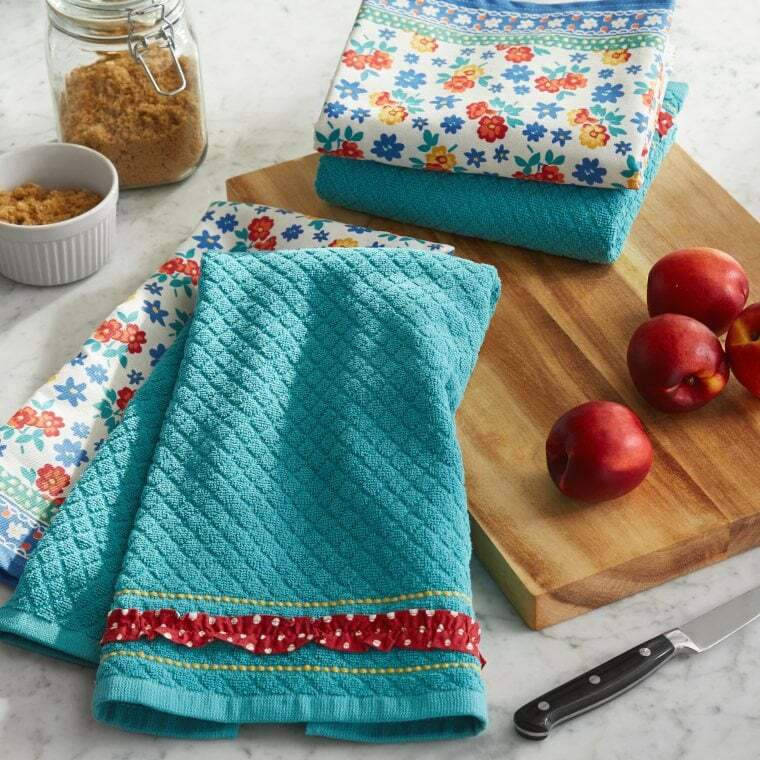 Your kitchen towels and napkins are some of the most used materials in your kitchen. So, it only makes to choose them wisely when you want to achieve a certain look. So, you can get floral napkins like these ones here and floral kitchen towels (these are my favorite). 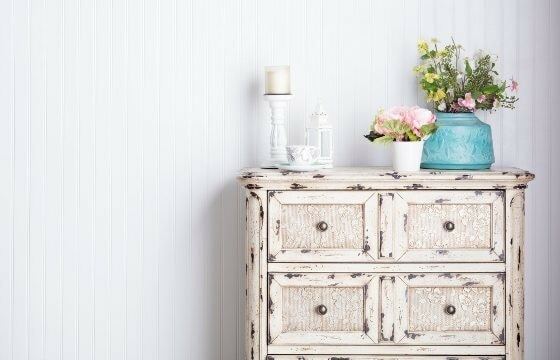 Small details like that can take your spring décor to a whole new level. 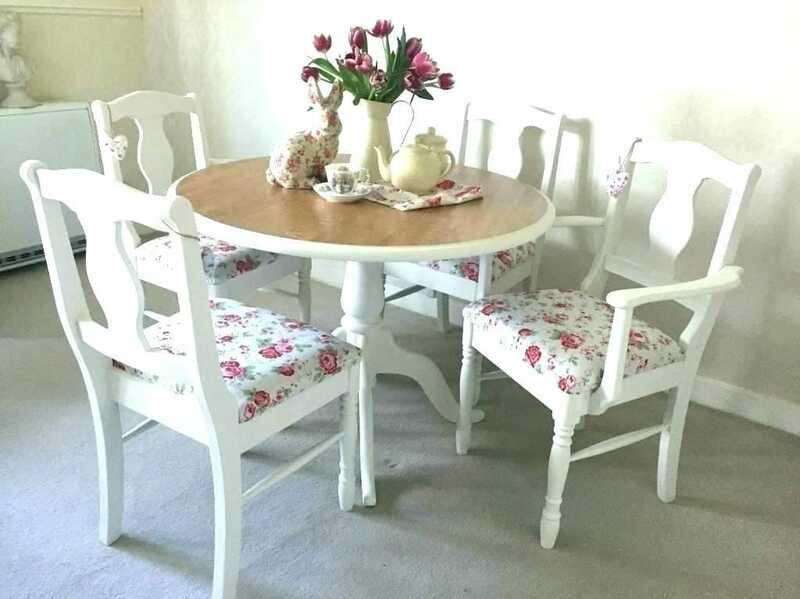 Instead of using simple white chairs, transform them with floral patterns. You can either get fully new chairs with floral patterns. And trust me, there is loads of them out there. Or you could get floral protector covers like these ones here. If it’s too flowery for you, you can always go for the floral chair pads. All of these are affordable design options that won’t cost you much. As you may have noticed, almost everything works with a floral design. Cabinets are not an exception. 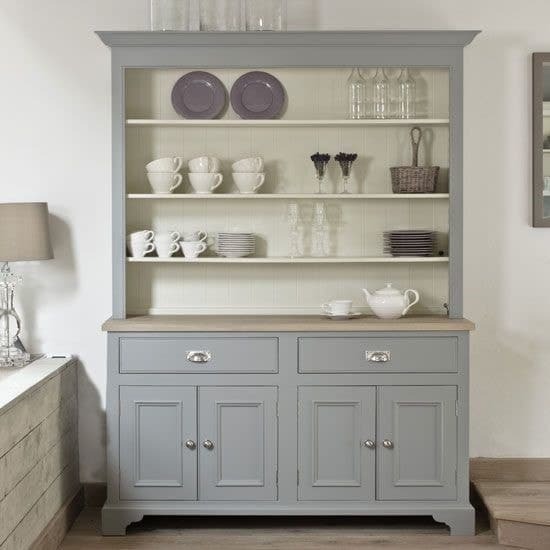 Having a fresh coat of soft color on your cabinet can do the trick. 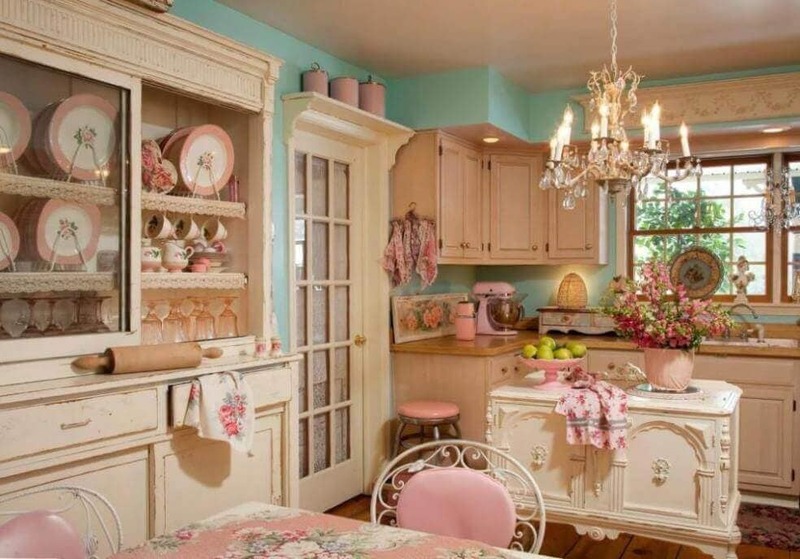 On top of that, a few floral patterns will truly transform the décor of the kitchen. 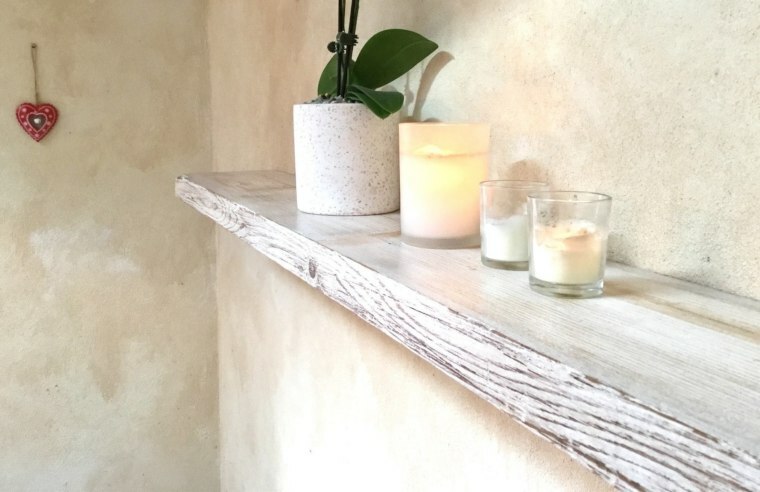 A whitewashed thick plank hanging on your kitchen wall is an easy addition to your kitchen décor. This doesn’t only serve a decorative purpose, it can also be functional. A few clips and nails on it, and it can hold your kitchen towels, napkins, aprons or linens. 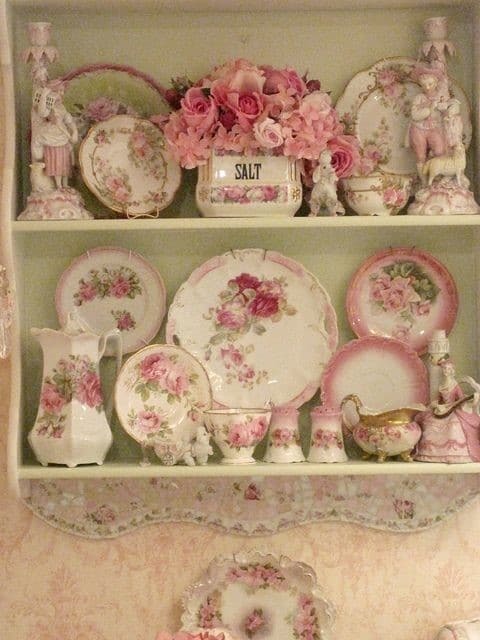 Additionally, it’s a beautiful space to display your tableware to give the kitchen a full vintage look. 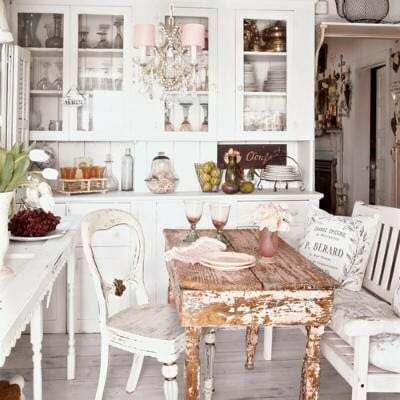 Give your dining area, if it’s in the kitchen, a bit of a rustic vintage look. You can achieve that with a bronze farmhouse chandelier like this one here. Additionally, have a dark brown wood table to give it more of a heavier feel. And, finish it all up with a bouquet of flowers and a few white candles. It might be a good idea to incorporate white candle holders into the design too. I think these are absolutely gorgeous. Get a chandelier in your kitchen! You can get a new one or find something in the antique shop. Either way, a chandelier will complete the look of your kitchen. Also, give it the feel that no other home will have. There are myriad of chandelier choices here. But, do remember that it’s definitely for a higher budget. Just when you thought it could not get even more floral. It can! 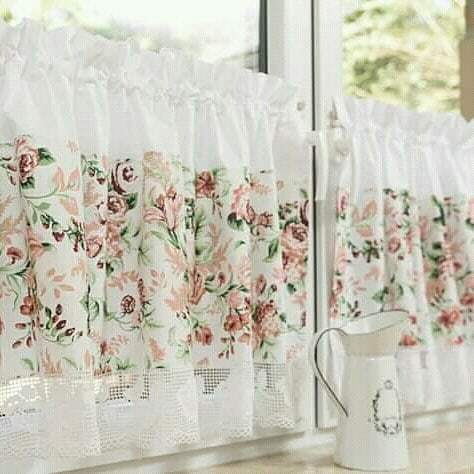 Light floral curtains can transform your kitchen and bring more light to it. So, do consider adding those to your shopping list. Glass cabinets give you a great opportunity to display all your crockery. That’s where you can show off your floral designs and give the kitchen the look it really deserves. Also, glass cabinets truly work for any kitchen design. In case you want to change things up in the future. However, you will need to keep your cabinets nice and clean. Otherwise, the kitchen will always look messy. So, do consider that. So, we have been all white and warm colors since. However, vintage and grey as just as good. Don’t be afraid to have a bit of grey in your kitchen. This color looks especially good on the cabinets or other storage units. It might become a contrast piece in the kitchen, so it all doesn’t go crazy floral. Having a bit of balance when it comes to designing a home is always useful. Well, maybe not necessarily a toaster, a coffee maker or a tea jug will do. This is if you are planning to add any of these to your kitchen soon. 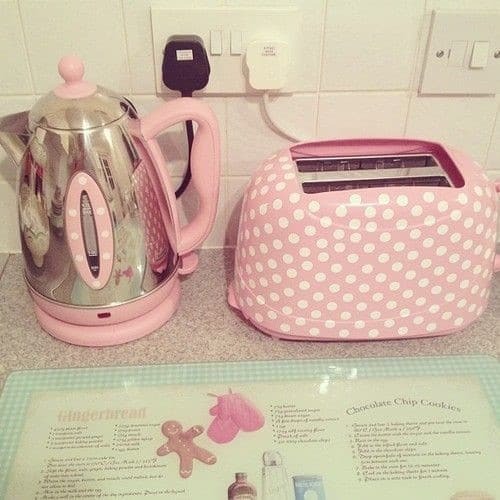 A pink toaster like this one here or a pink coffee machine will give your kitchen that final touch. Also, the guests will totally be impressed!